Hello my lovelies! The weekend went by too fast but at least I got lots and lots of sleep. I really needed some rest because this week will be a hard one for me. I'm trying to stay positive since it's gonna be a 4-day week because Friday is a holiday. To help me hang in there in the following days I have a stunning polish on my nails. I don't even know how to call this one because all the superlatives aren't enough for it. I will let the pictures speak for themselves. 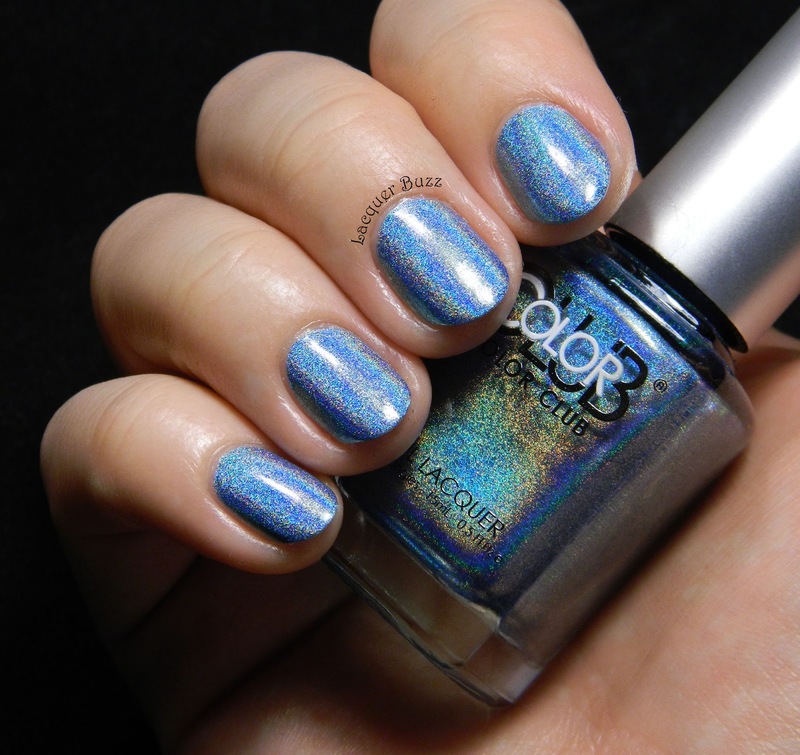 Over the Moon is one of the 2013 Color Club Halo Hues. I'm probably one of the last people on earth to get the polishes from this collection but better late than never. About a month ago I wore the only Halo Hue I owned, the one called Blue Heaven. 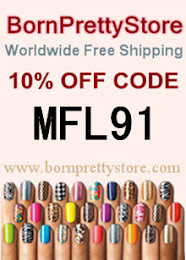 As usual I was amazed by the beauty and incredible formula of that polish and decided I needed more. So I ordered 3 more Halo Hues and Over the Moon is one of them. 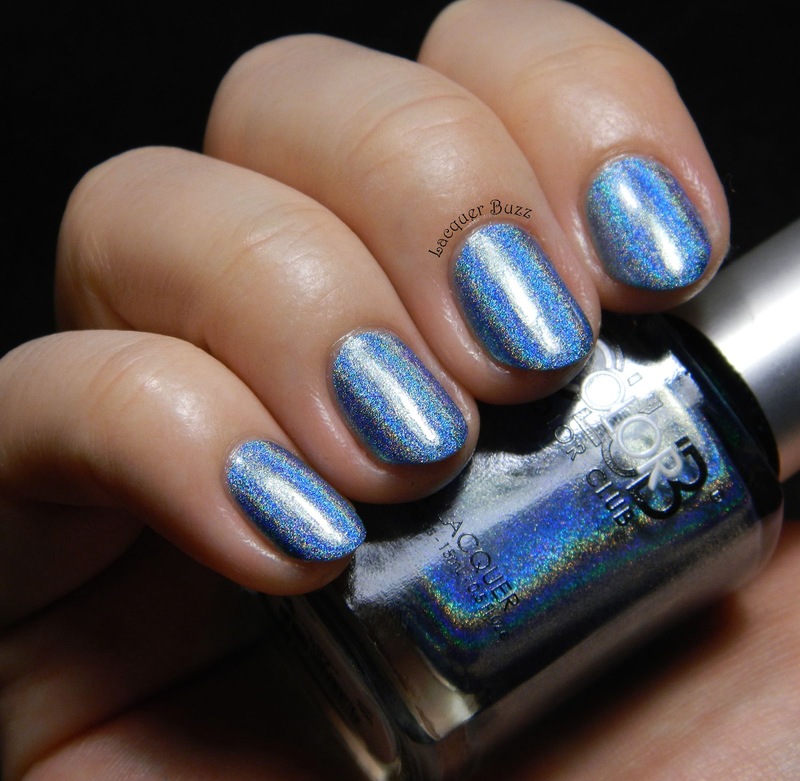 These polishes have a very intense linear holo effect so photographing them is really easy. The artificial light photos came out great and I also took some pictures in the sun. It really doesn't take a lot of light to bring out the holo effect in this one. I can't stop staring at my nails! Another amazing thing about these polishes is the formula. They apply like normal polishes. 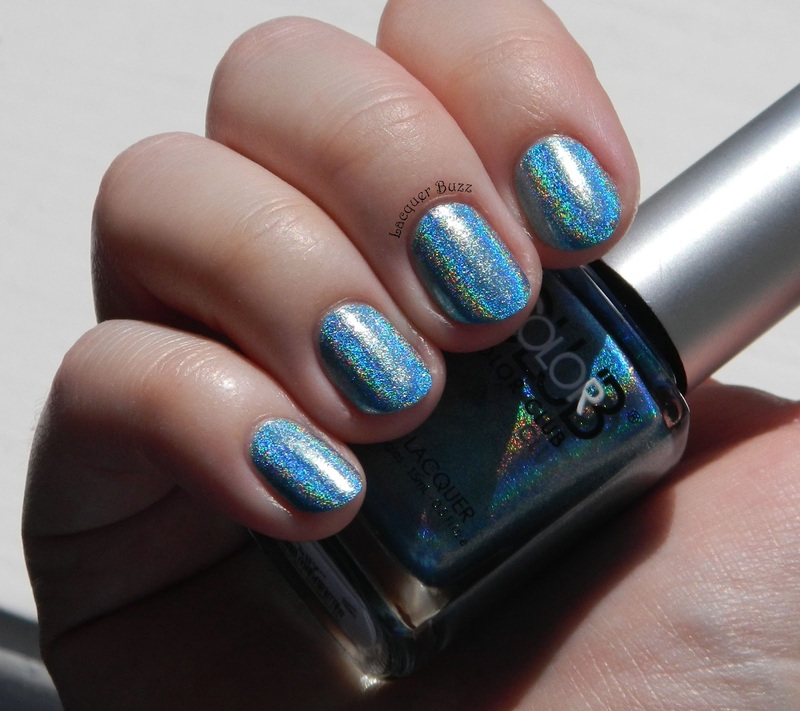 No dragging or application issues that other holographic polishes have. Just two easy coats over a normal base coat. 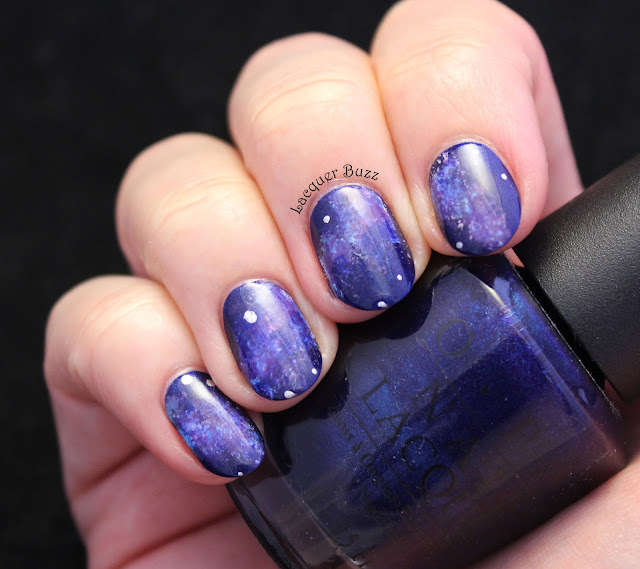 Top coat doesn't dull the holo effect either. Just lovely! I can't begin to tell you how much I love this polish. It's been a while since I've had such stunningness on my nails. 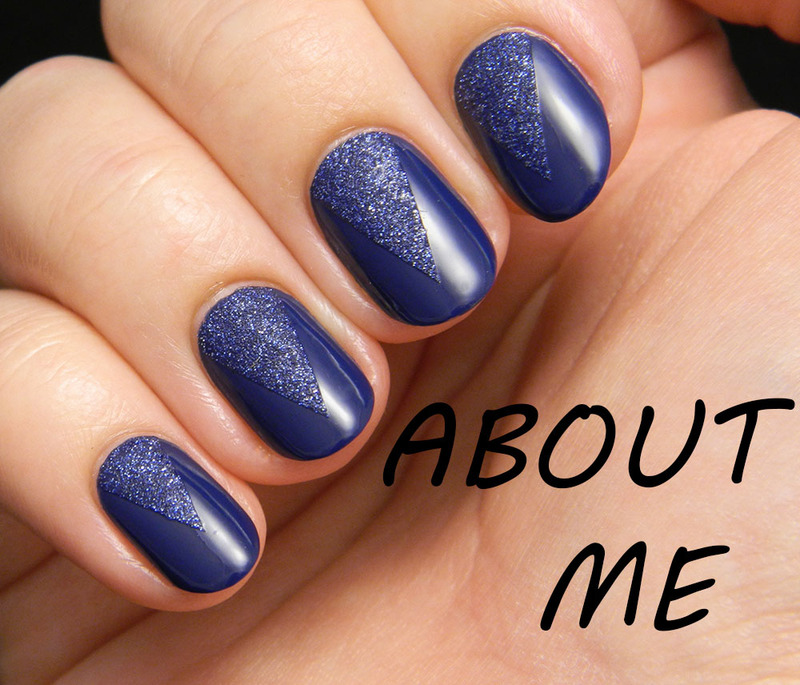 Next up will be a manicure that combines this and Blue Heaven. Can't wait! 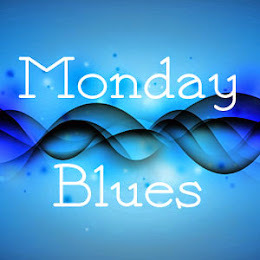 Meanwhile you can check out the rest of this month's Monday Blues in the links below. 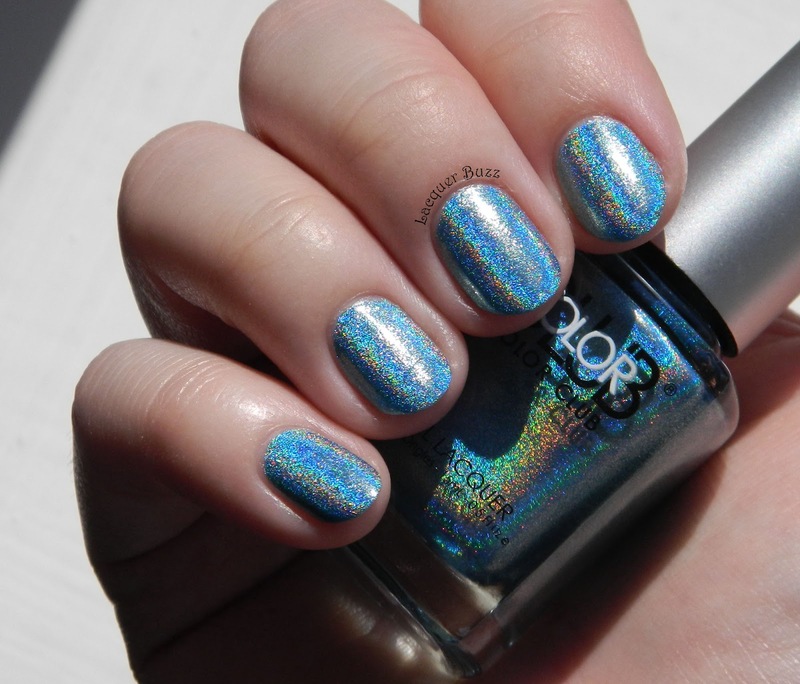 Such a gorgeous blue holo. 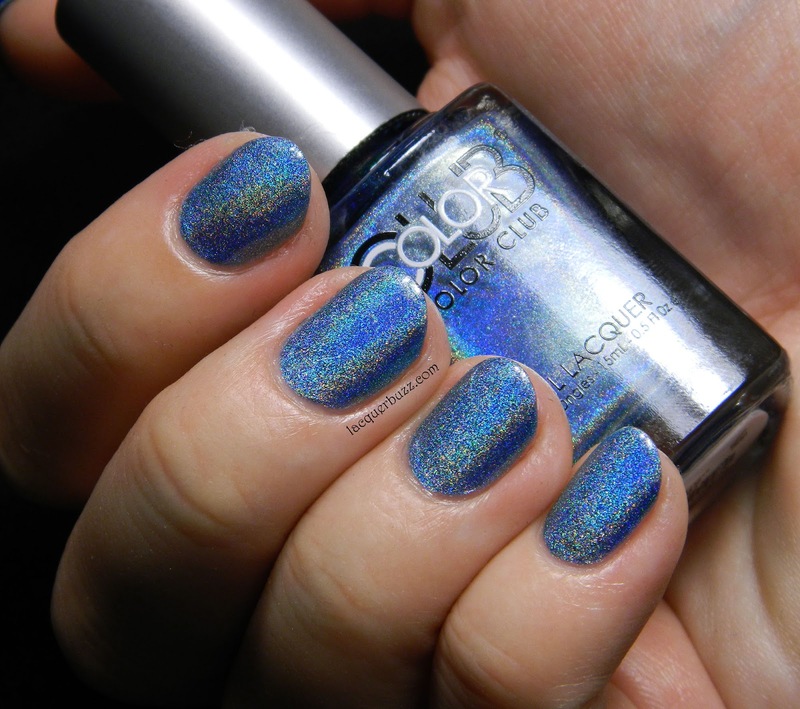 I own a few holos from Color Club and they all been great.